Dhanush, a manoeuvring missile is a naval variant of Prithvi-II, and can carry a nuclear payload of 500 kg. It was successfully test-fired from a ship on Thursday. India successfully test-fired nuclear weapons-capable Dhanush missile from a ship, off the Odisha coast on Thursday. 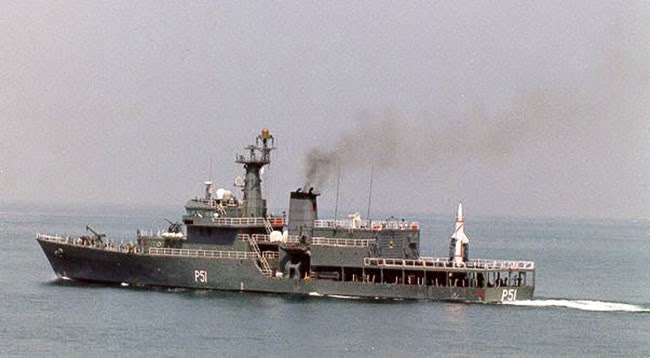 The ship-based missile was launched at 11.02 a.m. by personnel of the Strategic Forces Command (SFC) from an Offshore Patrolling Vessel (OPV), which was deep inside the sea, for its full range of 350 km, according to Defence Research and Development Organisation (DRDO) missile scientists. It was a perfect mission and the missile splashed down near the target point with high degree of accuracy, they said. 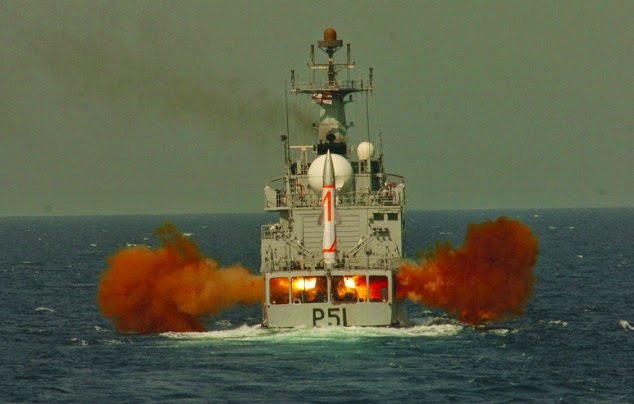 Dhanush, a manoeuvring missile is a naval variant of Prithvi-II, and can carry a nuclear payload of 500 kg. It can target both land-based and sea-based targets. The missile has already been inducted into the armed services and the SFC personnel randomly picked up the missile from the production lot for Thursday’s trial, which was carried out as part of regular user training. Dhanush was one of the five missiles developed by the DRDO under the Integrated Guided Missile Development Programme.